From state-of-the-art data centres to the bustling seaside destinations of Mission Bay and Paihia, Urban Partners has been creating visionary spaces for over 30 years. Here are just a few of the properties where we've used our competencies to achieve outstanding results. Urban Partners' expertise in funding, development and risk management helps make the digital future a reality. In 2012, Spark was seeking partners to manage the design, build and lease back of two highly specialised data centres which would put Spark at the forefront of the digital future. Urban Partners played a pivotal role in this complex and highly collaborative project which demanded a breadth and depth of skills and experience. Learn more about the data centre here. Find out how we delivered a cost efficient, turn key solution for Spark on time and on budget in our case study. Since the mid 1800's, Waiwera has attracted holidaymakers drawn to the area by the legendary properties of its thermal springs. 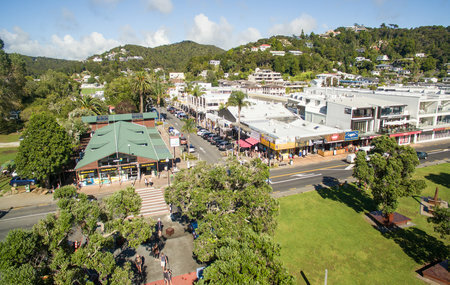 Waiwera epitomises Urban Partners' philosophy of acquiring unique properties that can be developed into world class destinations. With its central location, golden sand and harbour views, Mission Bay occupies a special place in the hearts of Aucklanders. Recognising the unique characteristics of the location, in 1983 Urban Partners began to establish a strategic foothold in this iconic Auckland suburb. Renowned for its outdoor recreational activities which are enjoyed by thousands of local and overseas visitors year-round, Paihia is the gateway to the stunning Bay of Islands. Foreseeing the potential of this historic seaside town, Urban Partners acquired some of the key retail properties. Our development in Lower Hutt included a retail reconfiguration and seismic upgrading of properties on Queens Drive, Margaret St and High Street, which are in close proximity to the Queensgate shopping centre development. Located in the heart of Takanini, South Auckland, Southgate is a successful large format retail shopping centre comprised of 21,000 square metres. Identified as a mixed use node under the Auckland Regional Growth Strategy, Urban Partners was one of the first developers to move into the area, opening Southgate Shopping Centre in 2004. Southgate is fully leased with predominantly major national retailers. A mixed use office and retail facility, Two Double Five sits in the heart of one of Auckland's leading shopping districts. Acquired in 1999 when it was known as Broadway Centre, the development involved close collaboration with adjoining property owners and tenants as works occurred while the building continued to operate. Urban Partners completed a re-imaging of the property and undertook substantial tenancy reconfiguration before selling the property. One of our earliest projects, Queensgate established the foundation for Urban Partners' prominence in retail development. Now owned and operated by Westfield, Queensgate began as a joint development with Foodtown Supermarket in 1985. 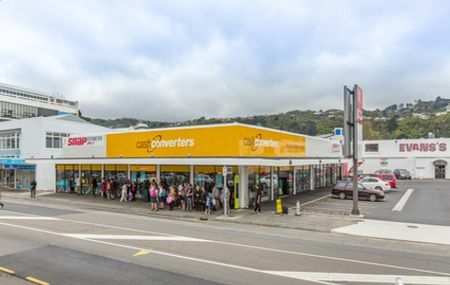 Urban Partners' expertise was instrumental in enabling Foodtown to open it’s flagship supermarket in Lower Hutt and driving expansion of the centre over the next 15 years. Home to a wide range of shops, restaurants and cafes, Browns Bay is an idyllic seaside setting on Auckland's popular North Shore. In 2002, Urban Partners saw an opportunity to embark on a residential and retail property development in the area. The development began with the acquisition of two single level retail shops. Urban Partners reconfigured the retail premises, completed the design and resource consent process and onsold the package to a developer.